In April I went to see the Magic Band play in London. It was great fun and I emphasize the word FUN. The original plan for the reunion was to get together the band that made the Trout Mask Replica LP. There was never any question of Don Van Vliet (aka Captain Beefheart – for a quick glossary of Magic Band pseudonyms click HERE) himself being involved. If you saw the Anton Corbijn film Some Yo Yo Stuff on the BBC a few years back you’ll know that Van Vliet concentrates now on his career as a fine artist and lives as a virtual recluse. His voice is also nearly gone due to an undisclosed long term illness (rumoured to be Multiple Sclerosis) and so even basic speech is slow and painful judging from the film which dates back to 1994. So John “Drumbo” French on drums became the project leader. Mark “Rockette Morton” Boston was tracked down and resumed his bass role. Jeff “Antennae Jimmy Semens” Cotton declined the invite (he lives a modest life in Hawaii according to internet fan sites) and so Gary “Mantis” Lucas from the late 1980-82 era band was drafted as a replacement. The other guitar role was filled by long time Beefheart associate Denny “Fingers Reebo” Whalley who played on the original, unreleased version of the Bat Chain Puller LP. 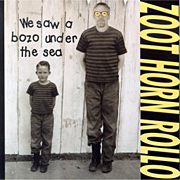 Conspicuous by his absence was Bill “Zoot Horn Rollo” Harkleroad. 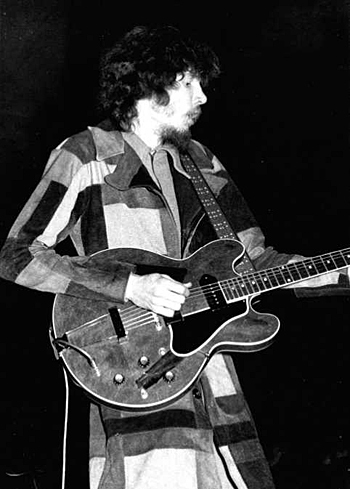 Bill played guitar on Trout Mask Replica (having come in to the band just before rehearsals began as a replacement for Alex Snouffer), Lick My Decals Off Baby, The Spotlight Kid, Clear Spot and Unconditionally Guaranteed. He was the first name on my list of favourite guitar players for a piece I wrote for Diskant in August 02 and I know a lot of people who feel the same. For someone whose involvement was so central in a music that has often been talked about and analyzed, it seems to me that the opportunity to talk about his view of the time he spent in the Magic Band has not really presented itself to Bill, even when it maybe should have done so. 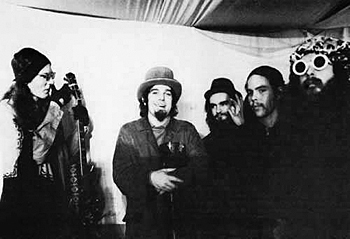 The BBC documentary The Artist Formerly Known As Captain Beefheart featured many Magic Band members but again Bill was notable only by his lack of involvement and the same could be said for Mark Boston, whereas Jimmy Carl Black whose involvement was miniscule in comparison seemed to get a starring role (Black played percussion for a brief while in the 1970s after Bill had left the band). As an aside, it seems like the BBC is making a second part to the film as they filmed the reunion shows. Let’s hope they take the time to talk to Bill this time round, not to mention Art Tripp or Elliot Ingber or Jeff Cotton. When I first started doing a fanzine in about 1995 I tried to get an interview with Bill to fill a hole in my own fascination with the Magic Band. I was politely turned down. I tried again in the event of all this Magic Band activity and this time he said yes. In fact he said “sure”. I caught up with him via email earlier this year while he was in his studio at home working on music in between teaching guitar and improving his golf handicap. I conducted this interview via email so I have written this piece in a mixture of past tense and actual question/answer formats. Sorry if it becomes confusing but the actual email was very long and I wanted to put some kind of chronological order on this, hence the dropping in and out of interview mode and the addition of after thoughts on my part. This kind of shoulder-shrugging relaxed answer is something Bill seems to specialize in. Take the recent reunion as a prime example. It’s natural for anyone who has invested a large amount of effort and time in something to want to feel acknowledged for that effort – especially if that acknowledgement has not been forthcoming or has been attributed to the wrong people. Why else would the current Magic Band reunion be taking place? The idea of a Beefheart-less reunion seems to have some very appealing by-products for those involved. One of the main problems for Magic Band members over the years has been the lack of credit given out for their own roles in writing the songs. A reunion would bring attention to the players and increase their own personal ownership of the music they worked so hard on, so it seemed odd to me that Bill apparently chose not to be involved. Although I think he’d never say as much it seems to me (from his book and doing this brief interview) that Bill has dealt with his past in the best possible way – by not mixing it up with the present. That’s not to say that Bill has been totally dismissive of his past; he wrote a book about his time in the Magic Band called Lunar Notes. Rock journalists have offered more complex assessments of the Magic Band and the way the music was made but no one has managed to convey the frustrations and overwhelming bizarreness of the time quite as directly as Bill. (Grow Fins was the 5CD box set issued on John Fahey and Dean Blackwood’s Revenant label a few years back, collecting the original recordings Zappa made at the house for Trout Mask with live bootlegs and radio oddities. It’s fantastic). However, Strictly Personal as we know it was already recorded with the guitar pairing of Jeff Cotton and Alex St Claire. 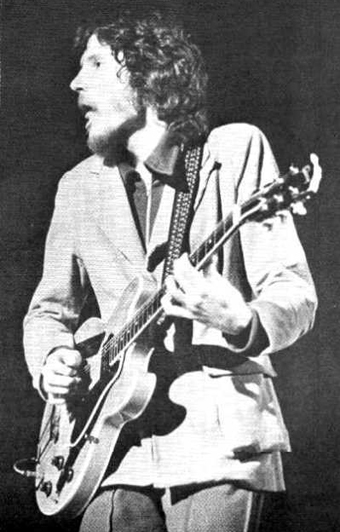 Beefheart was unhappy with the initial Strictly Personal and when Bill joined the intention was to re-record the album with new songs included. However, the album ended up coming out in its original form, apparently without the bands knowledge. 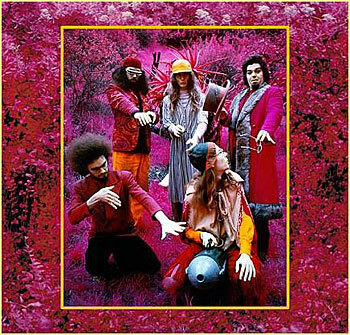 Beefheart’s own knowledge of this has been debated since, he claims to have known nothing about the impending release though others have suggested that maybe he was playing the general after the war and had decided he didn’t like the LP after the critics questioned the “psychedelic” production. Again, Mike Barnes’ comprehensive biography offers great in-depth insight into this period. The songs mentioned by Bill above were shelved (they later came out as part of Trout Mask). The band moved into the now famous group house in Woodland Hills to write and practice Trout Mask. Solidly. For months on end. 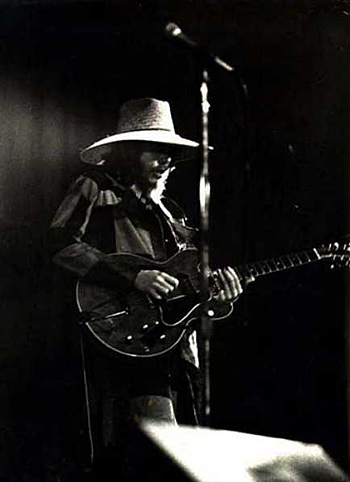 Magic Band, October 1969, Amougies Festival, Belgium. Part of the weirdness of Trout Mask can also be attributed to the sound of the record. The record was slated to be released on Straight Records, the label owned by Van Vliet’s childhood friend Frank Zappa. It was Zappa who was in charge of recording the album and originally did so using mobile recording gear in the house in Woodland Hills. Some of the recordings made it onto the album (Hair Pie Bake 1 for example where you can hear kids interrupt the recording at the end) but Van Vliet wanted to re-record in a proper studio. Bill speculates in his book that Van Vliet may have felt Zappa was shortchanging him and trying to record on the cheap. The peculiar sonic feel comes from the band employing quirks in the studio that came from the house such as covering the cymbals in cardboard to deaden the sound (a necessity in the house because of complaints from neighbours). One of the strangest and hardest things about playing music is that, personally, I find it really hard to talk about the music I make. People ask a lot because there’s a genuine curiosity when people find out you make music. I find myself embarrassed because I know I may believe in what I do one hundred percent but I also know the person I’m talking to might not have any idea what it’s about or my motives for being involved if they are anything other than fame. Magic Band before making Lick My Decals Off, Baby. One of the key differences between Lick My Decals Off and its predecessor was the absence of Jeff Cotton but with no one to replace him on guitar. For the first time, Bill was the lone guitarist in the Magic Band. Jeff’s replacement (of sorts) was Art Tripp who added the distinctive sound of the marimba to the album as well as doubling up percussion in live shows of the era. From his book and the sounds of the records that followed it seems that Lick My Decals Off marked the beginning of a steady increase in input on Bills part into the arranging and deciphering of Don’s musical ideas. This came to a peak between the 2 albums that followed Lick My Decals Off – The Spotlight Kid and Clear Spot, often due to the absence of John French who left prior to Decals (he returned for the recording) and again after The Spotlight Kid. Magic Band on a set at the Warner Bros Studios, Hollywood from the photo shoot for the cover of Lick My Decals Off, Baby. To say Bill’s guitar parts are strong is something of an understatement. Bill’s playing rules. slide guitar moment on Big Eyed Beans From Venus as the 5th best “Guitar Moment” of all time. But written music or tablature is at a minimum, probably because of the sheer difficulty of working it out. Ditto for pictures or info from the time showing the gear Bill used to get these amazing sounds. Following Clear Spot, which seems to have been a high point for all concerned, Van Vliet got involved in some complicated business deals which clouded the making of the follow up and seemed to weaken the enthusiasm of everyone involved by the time the recording sessions came round. Unconditionally Guaranteed proved to be the last album made with members of the Trout Mask era band – except John French who would play a huge part in the first unreleased Bat Chain Puller record and the later Doc At The Radar Station. After Unconditionally Guaranteed the band simply walked out on Van Vliet who promptly replaced them with a pick up band (dubbed The Tragic Band by many Beefheart fans) for an upcoming tour. Bluejeans And Moonbeams followed with a similarly half strength band and Beefheart retreated from music until something of a resurgence in his creativity with the 3 albums Shiny Beast (Bat Chain Puller) (the bracketed section referring to the previously mentioned first version of this album which remains unreleased except in bootleg form), Doc At The Radar Station and Ice Cream For Crow in the late 70s through to the early 80s. The best reference point for this is in the foreword to Bill’s book, written by long time Beefheart fan Henry Kaiser. Bill talks in his book about recording jams and rehearsal ideas throughout the Magic Band. Kaiser had the enviable task of trawling the tapes of these rough ideas in the Warner Brothers vaults on behalf of Van Vliet to look for material for the later Magic Band to use. He confirms that Harry Irene, Ice Cream For Crow (originally titled Drink Paint Run Run) and Best Batch Yet (among many others) that were recorded by the later Magic Band actually come from tapes made by the Spotlight Kid era band with Bill. 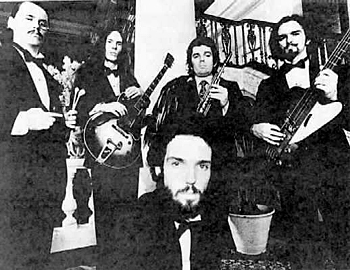 The core of the Magic Band as it was at the time of Unconditonally Guaranteed decided to continue on as a unit and after discovering Van Vliet not only owned the rights to the name The Magic Band but also to their individual pseudonyms they decided to regroup under the name Mallard. 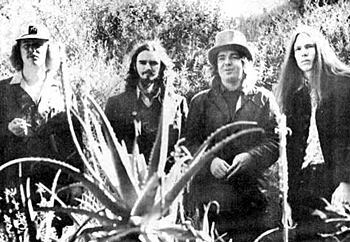 The original line up was Bill together with Mark Boston, Art Tripp, John French on vocals and original Beefheart guitarist Alex St Claire (who had rejoined the Magic Band for Unconditionally Guaranteed). John French was responsible for a lot of the first Mallard LP according to Bills book though he (and St Claire) had left before it was recorded. The impression given by Bill is that after the Beefheart experience he really didn’t have the drive to make Mallard work as well as it could have done, despite them being seriously under rated even now. “Mallard for me was the idea that I had to stay with music because I had no other way of supporting myself. Mark put a lot of effort into it but I had to be “the guy” and I was worn out. Too bad, but musically I was getting different and need to grow on my own. ”Speaking for myself yes and no. Yes because of being so close you know the dirty little secrets that bring down your feeling for things you are a part of. With distance and looking at it as if it was someone else, it doesn’t surprise me. 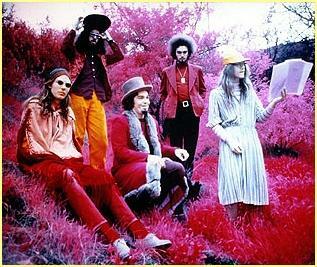 http://come.to/beefheart for the use of the rare photos in the piece. – www.beefheart.com – comprehensive Beefheart fan site where a lot of the info for this piece came from.